A person planning to start a new business tries to figure out the critical factors that will contribute to its success. In other words, he focuses on the competitive advantages, if any, that he has over others. For a person who wants to trade successfully in the stock markets, the key competitive advantages can be profitable trading strategies, good technology and infrastructure, quality research and risk management, among others. 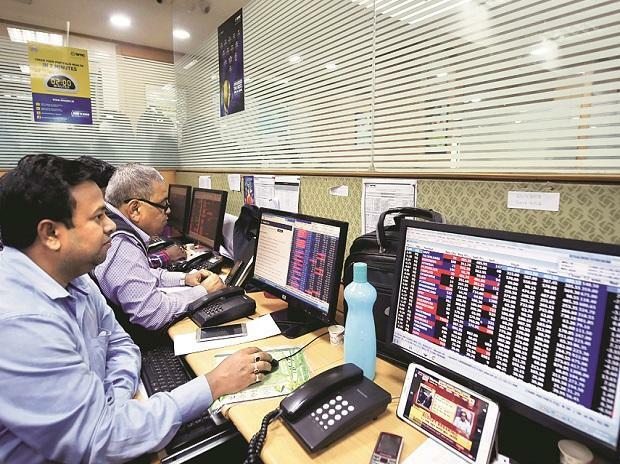 Algorithmic trading, which was allowed by the Securities and Exchange Board of India (Sebi) in India in 2008, offers an opportunity to acquire the necessary edge, provided it is done in the right way. Before the advent of computers, traders used to rely on their own strategies, which were dependent on level of exposure to the market, understanding the way the markets work, and use of technical indicators like simple moving average (SMA), Bollinger bands, moving average convergence-divergence (MACD), and so on. There has been a sea change with the advent of algorithmic and quantitative trading. Algorithmic trading basically involves the use of a defined set of instructions to generate trading signals and place orders in an automated way. Ever since it was approved, algorithmic trading has grown rapidly and now contributes close to 50 per cent of the trading volumes of the exchanges. Today, instead of struggling to find opportunities by themselves while the markets race ahead rapidly, traders are automating their trading strategies to generate and execute a signal whenever an opportunity arises. Develop your skills: To become an algorithmic trader, you need three things: knowledge of financial markets, quantitative skills, and coding skills. An algo trader’s knowledge of financial markets could be as basic as knowing a company’s past earnings, or could extend to something as complicated as analysing a company’s financial statements. Begin by learning basic concepts such as price to earnings (P/E) ratio, order-to-trade ratio, option spreads, etc. Gradually, you can move on to acquire knowledge of advanced concepts which you can subsequently integrate into your trading strategy. Quantitative skills mean the ability to handle and interpret large amounts of data. A quantitative analyst working in the financial markets uses various logical and statistical analyses tools to model data and seek the pattern in underlying factors. He uses them to arrive at a decision. Some level of proficiency in handling and interpreting data will go a long way towards making you a successful algo trader. If you learn coding skills, you will be able to develop a software program that will both generate and execute your buy and sell signals. Once you have developed a winning quantitative strategy, all that remains is to code it. Many traders think of coding as an optional skill since a large variety of over-the-counter algorithmic trading programmes are available in the market. However, learning to code gives the trader a few basic advantages. The foremost among them is that he will at least be able to understand the code that he is deploying. But learning to code offers several other advantages as well. One, if a trader knows how to code his strategies, he can reduce dependency on someone else, resulting in faster and more accurate deployment of his strategies. Two, his trading strategy, which is his secret sauce and his intellectual property, remains with him. The moment a trader hands it over to someone for the purpose of coding, there is always the risk that it could be stolen. Most traders nowadays prefer to use Python. This is the most popular programming language in financial markets across the globe. If all this sounds intimidating, do not worry as it is not hard to gain these skills. Both free and paid professional courses are available that can help you understand the stock markets and mentor you to develop your own unique algorithmic trading strategy. Back test your strategy: Once you have created your own strategy, you will need to test it. You need a back-testing platform to test whether the trading strategy you intend to deploy is a winner. If the algorithm can take the historical data provided by the back-testing platform and generate good returns from it, then it might be a good strategy. However, you should be careful not to overfit the algorithm to match the data, as it could affect its proficiency once it is applied in live trading. If you are still apprehensive about becoming an algorithmic trader, there are stock market simulators available on the internet that let you practise your trading strategies in the live market. You can practise for a while to make sure your strategy works and then start live trading with greater confidence. After back-testing, you can move to the last step, which is live trading. Currently, there are several brokers who provide a platform on which you can set up your algorithmic strategies and start trading. Finally, a lot of people harbour the misconception that one needs a lot of capital to begin algorithmic trading. This is not true. You can begin algo trading even with a modest sum. It is only if you are into high-frequency trading that you need a considerable amount of capital. The rise of technology and data sciences is changing the way various industries work. In the years to come, they are going to play a big role in the financial markets as well. If you can master quantitative and algorithmic trading now, you will surf the coming wave easily, instead of being hit by changes that you are unable to fathom or deal with. The advantage of algo trading is that as soon as the signal gets generated, the order gets executed. There is no time lag. If you are doing it manually, first you get the trigger/signal, then go to the brokerage account and enter the order, all of which takes time. Human emotions are not involved. Once, for instance, a stop loss is set, the algo executes it blindly. Retail investors may avoid booking the loss due to the phenomenon called loss aversion. If the system is well-tested with the draw down (level of loss you could make) calculated during back testing, you know how it is likely to perform. You can scale up your positions. If you make a profit in your previous trade, a percentage of it can be deployed in your next trade. Thus, even position sizing can be automated.